As always, when using herbal preparations, be aware of possible allergic reactions. And our lawyer wouldn’t be happy unless we added the usual caveat: use the suggestions and recipes on this page at your own risk. 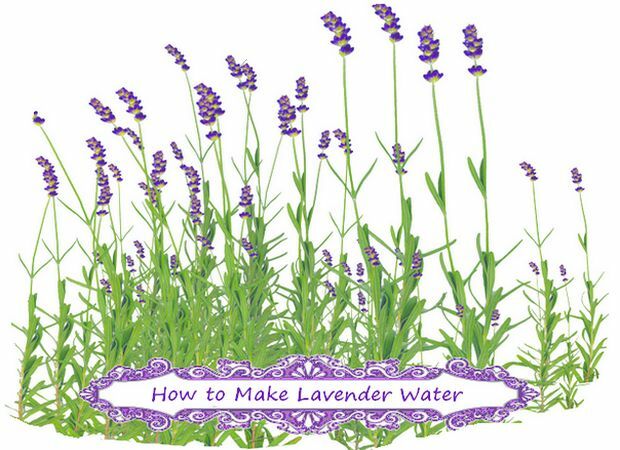 That said, we hope you enjoy your lavender water preparations as much as previous generations have done in centuries past! Add oils and vodka to a spray bottle and swirl the bottle around to combine. Add distilled water and shake well. Shake bottle again before using. Spray onto linens or into your linen closet to refresh and scent sheets, pillowcases and sundry household linens. Combine oil and vodka in a glass jar, then add distilled water. Seal well and refrigerate. Use within three months. Add 10 drops of lavender essential oil and two cups of mineral water to a spray bottle. Shake before spritzing on the face. Remember to keep your eyes closed when using any facial mist or spray. Tightens pores and refreshes; wonderful after a work-out or shower. Steep two teaspoons of lavender flower buds in one cup of boiling water for five minutes. Strain, then add 20 drops of lavender essential oil. To use as a facial compress: immerse a washcloth or flannel in the lavender water, then wring out well before applying as a compress. Remaining lavender water can be stored in well-sealed glass jar in the refrigerator for use as a refreshing facial compress, mist or spray. Bring two cups of water to a boil; let cool for a minute or two. Pour water into a bowl and add half a teaspoon of essential lavender oil. Inhale vapor to clear the sinuses. Let the lavender water cool, then massage into skin as a facial or skin refresher. Store in the fridge for future use. Remove lavender flower buds from stems and add to a one-cup measuring container, packing lightly. Pour the measured cup of lavender buds into a glass container. Add one measuring cup of water, preferably distilled or previously boiled and cooled. Add 1/8 cup of vodka and stir or shake well. Allow infusion to sit in a sunny windowsill for two weeks, shaking the jar daily to combine ingredients. Strain the lavender water into a pretty bottle and use as desired. 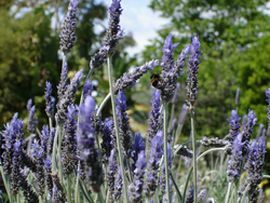 If resulting lavender perfume is too light, reinforce with a drop or two of lavender essential oil. A delightful toilet water is made of white wine vinegar and lavender flowers. Steep handfuls of the lavender in the vinegar. Keep the jar for three days in a warm place on the back of the stove, after which strain and bottle. Place 2 large handfuls of dried lavender into measuring cup; pour boiling water over flowers to two cup mark. Steep until cool, strain and add to bath water for a relaxing soak. Love your website. So open and friendly. Am planning to make some lavender water. Many thanks.